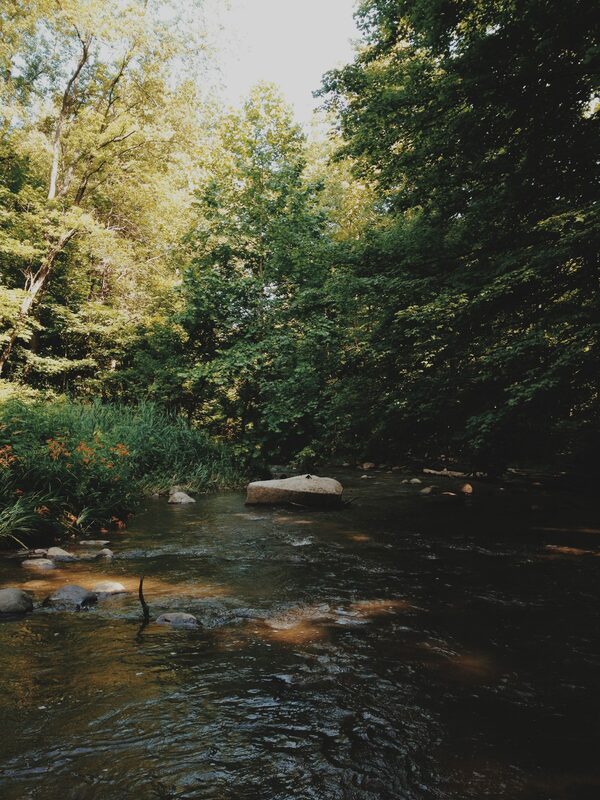 Ohio summers bear witness to the sounds of morning songbirds pouring in open windows, hot afternoons spent watching the river, and evening bike rides. They are infused with idle lounging, sitting with my wife and cat in our apartment, sipping coffee for an extra hour when I can, and reorienting my heart towards what is important in my life. In short, summer brings one glorious commodity that I cannot seem to find in any other season of life: time. Time to breathe, time to rest, time to mull over the important stories of everyday life. I have not experienced such steady free time since beginning design school in 2010. Throughout college I learned about who I was and how I ought to live. Now that I am finished—with undergrad at least—I am realizing something my friend Mark recently shared with me: that “this is my life.” It is happening at this very moment. In fact, I am 1/4 of the way into my life. And so, here I am, excited to keep living as God might have me live. I believe that with this life comes a daily cycle of failure and renewal. I am being shaped into a new person day by day—slowly, and with much cultivation. I am continually making mistakes, yet being guided back to a better path. In Psalm 1, the one who is blessed is like a tree rooted in a steady stream of water. While the stream continually flows where it will, the tree remains unmoved. The notion of the tree asks me to simplify—to watch the stream float along. Its meaning in the midst of everyday life, however, becomes increasingly complex. I am starting a blog because it provides me an outlet for mulling over the fragments of life that are easy to miss as they float away with the current.